"Late Night" host Jimmy Fallon had troubled golfer Tiger Woods on his couch for the first time in a year and a half and, well, wanted to catch up. The audience laughed and tittered nervously. 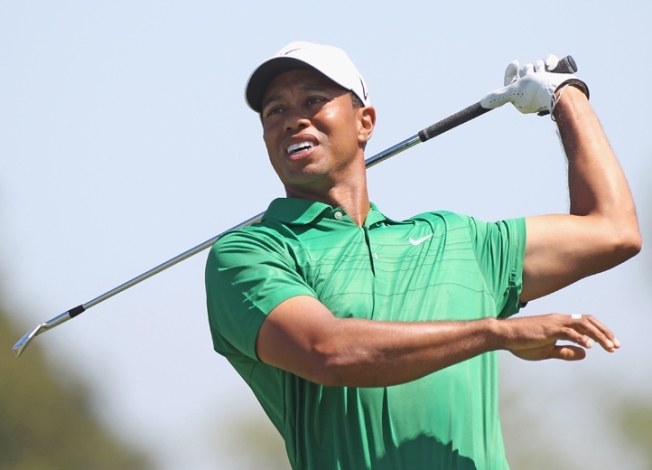 But all joking aside, Woods' appearance signaled that he's ready to face the spotlight again. "That is like a magical thing to happen, your awful pain," joked Fallon. "And we laughed at your pain. I mean, not even making jokes. It kind of wrote itself." Woods graciously smiled and played the good sport throughout Fallon's good-natured ribbing. Although Woods has not all that chatty on "Late Night," he did open up to "Good Morning America" about being a newly-single father. It's work, there's no doubt," the golfer. "It's tough. But it's enjoyable. That's the work I love." A humbled Woods also admitted: "Family's first. That's the way it was when I was growing up. My mom and dad were always there … and that's what I have with my kids now."